Our Car covers are made from high quality materials to ensure that your quality expectations will always be met and surpassed. We use the latest generation materials, double stitching, durable securing straps and purpose made fittings. We have a wide range of cover materials available. There is a black indoor cover available, a heavy duty grey outdoor cover and a silver grey one for both indoor and outdoor use. The breathable indoor dust cover is manufactured from a thick non-woven material in a black colour. It is breathable and 100% UV resistant to protect paintwork and prevent colour fade and comes with elasticated hems and underbody straps for a snug fit. 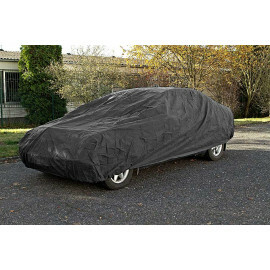 This type of car cover will not deposit fluff on mohair or canvas hooding material and is both machine and hand washable. The silver grey car cover is light yet very strong. It is often used on daily driven vehicles where overnight protection is required. Good compressibility and small storage size make it ideal to remove and pop in the boot when not in use. The silver grey cover is breathable, 100% ultraviolet resistant, protect from rain, snow, sunlight, dust, dirt, tree sap, birds etc., and annoying little scratches. They are suitable for year round use, helping to keep interiors cool in hot weather and protecting from frost and snow in winter. The heavy duty outdoor cover comes with a soft lining to protect paintwork. It is a substantial cover weighing about 3 kg and packed in a sturdy zipped storage bag with handles. 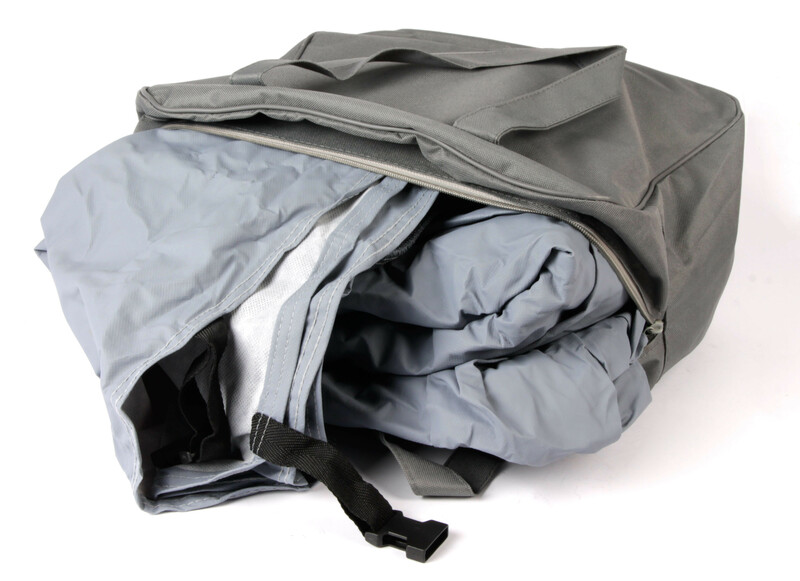 The grey coloured outer skin is soft and pliable, yet totally waterproof, and the stitched seams are heat sealed. Of course you can order your free colour sample: 523245 (black), 509283 (silver grey) and 355026 (grey).